Officials said issues related to soil, land and watershed is increasing every year. Bhutan has only about three per cent of arable land out of which seventy per cent is dry land and thirty per cent is wetland. “Since Bhutan is located on the hilly and sloppy area, the land formation is not very strong. Hence, through today’s program, we would like to convince people that managing the soil and land properly is critical,” Kuenzang Nima, from NSSC, said. He also added that people should reap the optimal benefit by effectively utilizing the limited arable land that the country has. Various exhibitions focusing on improving the fertility of soil, minimizing soil pollution, increasing the productivity and marketing the produce were part of the event. “We knew how important the soil is for every one of us. Moreover, I also understood that the usage of plastics is also causing the soil pollution” Tshering Pelden, a farmer, said. 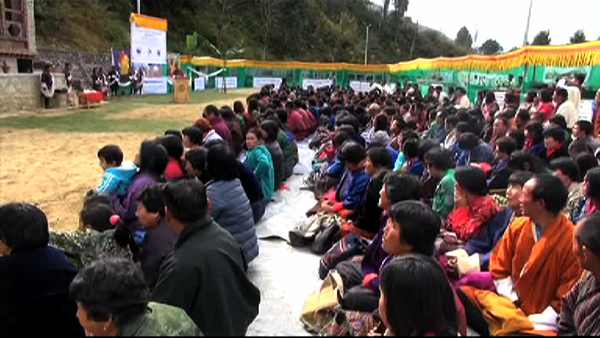 The NSSC also launched the song titled “Rin-chen Saa-Zhii” which talks about the importance of the soil. The December 5 is observed as world soil day worldwide.